Looking for information on the holiday's history? Check out this "blast from the past" post from last December. 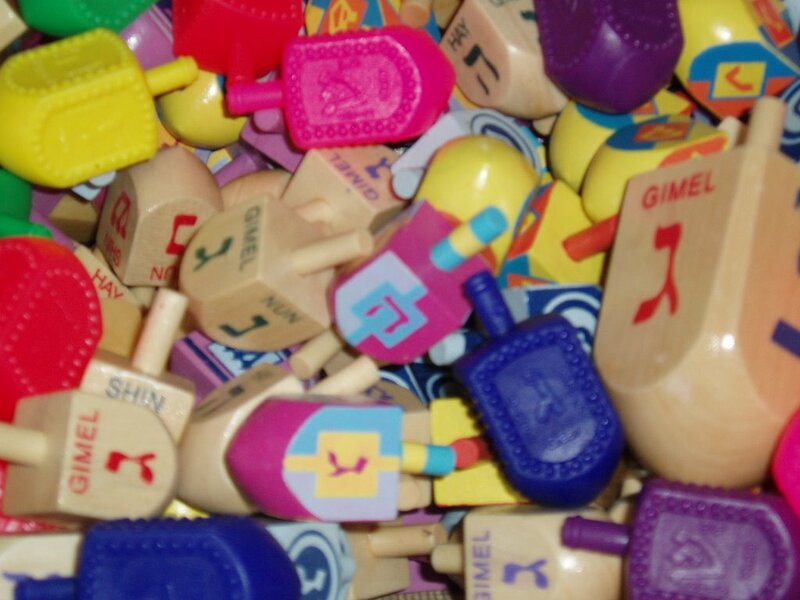 The history of Hanukah might not be just as you thought. You may have read my thoughts about stuffing more thanks into Thanksgiving. Did Blog Appetit practice what it preached? Well, yes, kind of. Plus Blog Appetit (well, really it was I) learned a valuable lesson. At my family Thanksgiving (which featured my sisters' bronzed and moist turkey and two kinds of sweet potatoes with yummy toppings), I tried to start a discussion about the issues raised in the post. To say my tablemates were resistant to connect on a more meaningful level as decided by me during the meal would be politer then they were. However, once the dishes were cleared, my very excellent husband proposed we play some games. Uno cards were produced. And wouldn't you know it without trying so hard, without alienating anyone, we all bonded and related and shared. Just what Thanksgiving should be all about, without anyone being a turkey about it.